From Buddhism to atheism to Islam, the story of a Chinese muslim. I was born a Buddhist but I was not taught anything about Buddhism, its teachings or its principles. All that I knew about Buddhism was following my parents to the temples during festive seasons (which is on a birthday, nearly every month, of one god or another) or praying at home to the god of Heaven, the god of the lounge, the god of the kitchen and so on. We used joss sticks to pray to those idols, or even colored metal plates with inscriptions on them. When we prayed, we prayed only for our own good, making up a very long 'Shopping list'. In our worship we did not think of anybody except ourselves and our immediate family. In Malaysia, the Chinese think that they are superior. Most Chinese are either Buddhists or Christians and there is only a very small minority who are Muslims. These Chinese Muslims are looked down upon. All the Malays are Muslims and the Chinese consider them stupid and lazy. Therefore to associate with any Malays was a terrible 'sin'. To the older generation of Chinese and their ignorant way of thinking, Islam is only for the Malays, and since all the Malays are Muslims, Islam is a stupid religion. This is because to the non-Muslim Chinese the Muslims seem, when praying with their faces turned towards Qibla (direction of prayer, i.e. Mecca), to be praying to the wall, while they, the Buddhists pray to idols which, to them, is more realistic. Secondly, the Muslim fast is considered stupid as the Chinese enjoy their food. Thirdly, Muslims do not eat pork while the Chinese love it. And the sin of all sins-Muslims can marry four wives whereas the Chinese would not admit that they have a few mistresses, although keeping up the appearance of only one official wife. Because I was brought up in such a society, I also accepted their ignorant way of thought. Moreover, because of the racial tension in my country, I did not trust any Malays and so my knowledge of Islam was practically nil. I was never a religious person at home so when I came to England I became an atheist. All my friends were not religious either. All we were interested in was amusement and entertainment, like parties, discos, going out with men, etc. I was, if you would like to term it, a very bad girl. It was after two years in England and one broken marriage, that I met a Muslim Malay. He gave me a few books on Islam and in order to please him I read them. I was very suspicious of Islam but I was willing to learn and soon my interest grew. He then took me to the Mosque at Malaysia Hall and introduced me to someone who then introduced me to the Ladies Islamic Circle where I could learn more about Islam. I did not have much opportunity to go to the Circle in the beginning because of my work. However, my fiance was always there to answer my questions when I was in doubt. Then one day I came across a copy of the book 'Islam Our Choice', I read this book carefully and the feeling that those brothers and sister of Islam expressed in that book made a great impression on me. I realized then that Islam would be the right path for me to follow. Another thing that made me to embrace Islam was the close unity I felt towards the Muslims I met. I have never felt or seen such close brotherhood. 1. 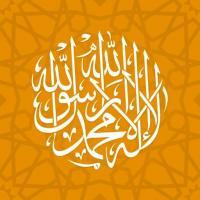 Belief in One God and that Muhammad is His Prophet and the last of the Prophets. This made more sense than praying to Buddha (who was a man) and to idols made by man. 2. Prayer reminds one of God and Prevents one committing sins. Also praying towards Makkah brings about a central focus for all Muslims of all races and notions. 3. Fasting develops one's will-power, and self-control. At the same time, it reminds one of the poor and needy and starving people. 4. Zakat (alms giving) ensures that the materialistic urge within us does not overpower our tendency to share with others. 5. Hajj (pilgrimage) during which we visit Makkah once in a lifetime is a gathering of Muslims of all colors and races. What really impressed me most about Islam was its moral teachings; that one must dress decently and cover up one's body especially in the case of women. This is to prevent any destructive or unbefitting trends or desires to prevail in the society. Another aspect of Islam that attracted me was cleanliness, which in Islam is very important. Cleaning after answering the call of nature, and taking Wudhu (ritual purification/ablution) before going for prayer sounded natural to me and very wise. Against my parent's wishes, I became a Muslim after six months of studying the religion. I hope one day my parents will come to understand that Islam has done me a world of good, much more than even what they had taught me for eighteen years. I became a Muslim because I believe in Allah as the only God and that Muhammad is his Prophet, and because I accept the teachings of Islam as they are laid down in the Glorious Our'an and the practice of the Prophet. I intend, In Sha'Allah (if Allah wills) , to be a good and true Muslimah (Muslim Woman) and I would like to thank all the brothers and sisters who have helped me, in one way or another, to discover and embrace Islam.